That looks safer than a standard police bumper. Haha! 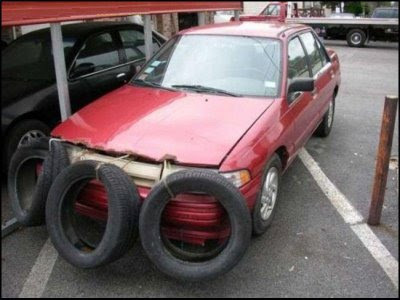 Looks a lot like some kind of car piercings. I'll keep visiting for more of your interesting posts.